Over the past several years, I have either written or posted other peoples accounts of the use of femtosecond lasers in ophthalmology. Starting with the history of their development in October 2008 (Intrastromal Ablation: A Technology Whose Time Has Come? ); an article on the use of the femtosecond laser to treat presbyopia by Dr. Rupal Shah in June 2009 (Another Approach to Intrastromal Ablation); a writeup on the use of femtosecond lasers for performing cataract surgery by Larry Haimovitch, again in June 2009 (Femtosecond Lasers Proposed for Use in Cataract Surgery); and finally, Dr. Joseph Colin’s writeup about femtosecond laser cataract removal as a second revolution, and my addition about the possibility of using the femtosecond laser to “bleach” the natural lens to delay the onset of needing to remove catatacts, inAugust 2010 (Femtosecond Laser Cataract Removal: The Second Revolution? 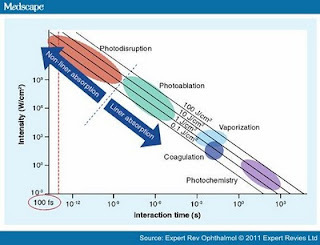 And, What is Laser Photolysis?). Earlier this month, I came across an article written by Drs. Ronald Krueger and Glauco Reggiani-Mello, that does an excellent job of summarizing the latest developments in the use of femtosecond lasers in refractive surgery and other applications in ophthalmology. Since the article was written in a professional journal – Expert Review of Ophthalmology, I asked the authors for permission to reproduce a significant part of their writeup, along with a link to the original for those that wish to read it in its entirety. Permission was granted, and here is my version of what was presented, along with most of their illustrations and their two tables. Refractive surgery is a procedure that requires excellence. Nothing less than the best is acceptable for an elective procedure that must be precise, accurate and safe. Femtosecond lasers were developed to help fulfill these requirements and have changed the field. 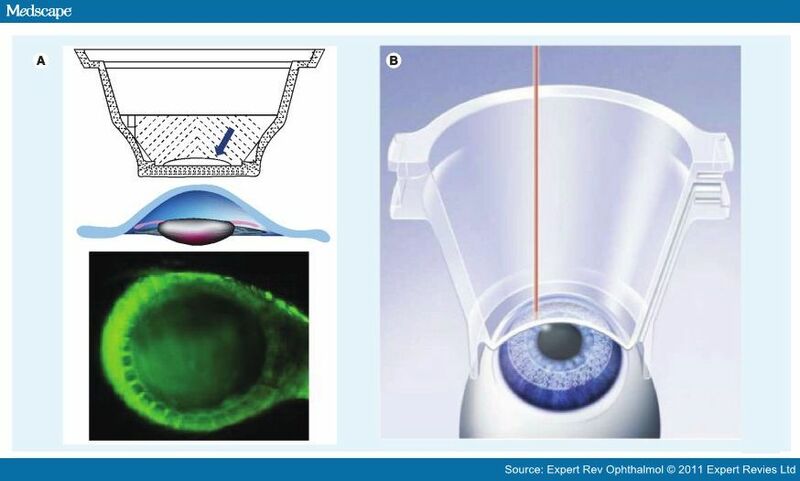 The capabilities of the technology include not only the creation of corneal flaps for laser-assisted in situ keratomileusis, but limitless corneal- and lens-based incisions, as well as glaucoma and retinal applications that can break old paradigms. Manipulating biomechanics to correct presbyopia with the IntraCor procedure, the 'femtosecond-only' femtosecond lenticule extraction or SmILE procedures, intrastromal astigmatic incisions and cataract surgery are among the next exciting applications to this technology. New fields in refractive surgery can be opened and others can be expanded, as in refractive lens exchange, where its indications may be greatly increased, considering the new safety and precision standards that the technology can deliver. The expectations are huge and future studies will show how far we can go with the technology. Femtosecond lasers have changed refractive surgery in the last 9 years since the market release of the Intralase Femtosecond Laser (Abbott Medical Optics, IL, USA) in 2001. The bladeless flap creation rapidly gained popularity because of its promised increased safety, fast recovery and excellent results. Nowadays, the majority of high-volume refractive surgery centers in the world uses a femtosecond laser to create the flap. Figure 1. Effects of the relationship between laser interaction time and energy intensity. There is an inverse relationship between the laser pulse duration and the energy required in each pulse to generate the optical breakdown. A shorter pulse (200-500 fs) needs lower energy to achieve the threshold of photodisruption than a longer pulse (500-1300 fs). The numerical aperture (NA) of the lens influences the laser spot in terms of diameter and volume. A higher NA focuses the beam with less dispersion and is the reason why higher NA devices use lower energy. It is also suggested that a higher NA increases the depth accuracy and overall precision of the lamellar cut. After the optical breakdown occurs, plasma is created and a cavitation bubble formed. This bubble expands and cleaves the tissue. If a high-energy photodisruption is used, the bubble is larger and the pulses do not need to be placed close together. 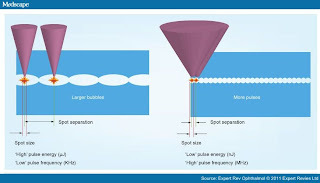 Low-energy systems create a very small bubble, with a greater number of pulses in an overlapping pattern being mandatory, since there is almost no tissue cleaving induced by the bubbles. The first devices operated with a low KHz repetition rate (15 KHz - first Intralase model) and needed a higher energy to photodissection. Newer devices (even the newer high-energy devices such as IntraLase 150 KHz) intend to increase the repetition rate, which makes the procedure duration shorter and uses lower energy with an intention of diminishing the inflammation. In addition, the spot size and separation can be lowered in higher repetition rates to produce smoother surface cuts without increasing the time of the procedure. In summary, the ideal device would include a high repetition rate, small spot size and low energy per pulse. The geometry of the cuts performed is theoretically limitless. Vertical, horizontal and every imaginable geometrical pattern can be applied. However, limitations in cutting placement vary among devices, with newer ones tending to offer a more customizable cutting. To perform precise incisions in cataract surgery, an imaging system (optical coherence tomography and 3D-confocal-structured imaging technology are under research) is required, since the position of intraocular structures change and must be accurately localized after docking. Two main pulse patterns are used in commercially available corneal cutting devices: raster and spiral. The first involves pulses that are applied in a linear pattern, starting at the hinge area, passing through the center of the cornea and finally extending to the opposite edge. The spiral pattern is applied when the laser pulses begin centrally and expand centrifugally out to the periphery (centripetally can also be used). Most devices use the raster pattern, which was found to produce a smoother stromal bed in the Intralase machine. Visumax (Carl Zeiss Meditec AG, Jena, Germany) uses the spiral pattern. Furthermore, the method for fixating the eye, including the suction ring and docking system, varies among the devices. 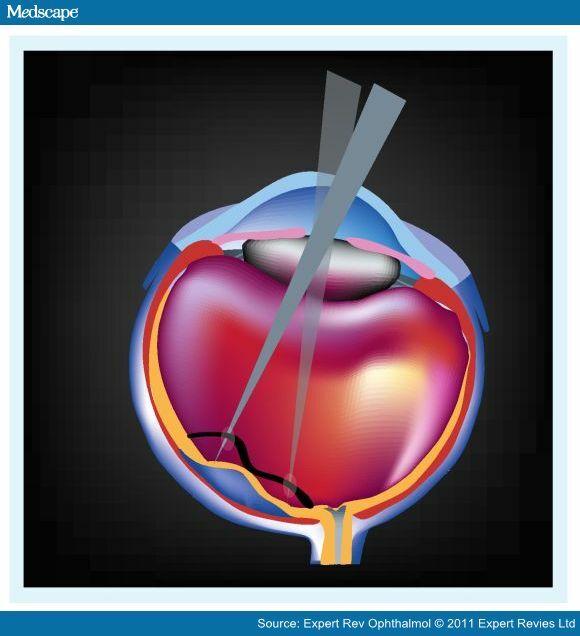 The amount of induced pressure is higher in devices that applanate the cornea, such as the Abbott Medical Optics IntraLase, WaveLight Ultraflap and LDV (Ziemer Ophthalmic Systems, Port, Switzerland), and lower in devices with a curved applanation docking interface, as found in the Visumax and Perfect Vision Femtec 20/10 lasers (Technolas Perfect Vision, Heidelberg, Germany). Following the introduction of this new field by IntraLase, three additional systems have become commercially available in the last few years: Femtec, Visumax and LDV. The newest device to be released is the UltraFlap FS 200 from Alcon (Figure 2). Figure 2. Commercially available femtosecond lasers for refractive surgery. The success achieved by IntraLase inspired the other companies to research different approaches and applications of the promising femtosecond technology. New refinements are being systematically released with improvements in pulse rate, spot size, pulse energy and customized approaches for the use of the laser. This competition has compelled the further development of this technology. The Femtec laser works with a similar pulse rate and energy as the IntraLase, but uses a curved applanation docking system, which promises less intraocular pressure (IOP) increase in a more physiologic interface between the eye and the laser. In addition, a new procedure for presbyopia called IntraCor is being studied with this platform. Figure 3. Visumax and Femtec curved docking systems. (A) Visumax and (B) Femtec curved docking systems. Note the limbal suction in the Visumax device. The LDV from Ziemer is a smaller, portable device with some uniquely different characteristics. It operates at a very high pulse rate (in the MHz range) with very low pulse energy (in the nanojoules range), which, according to the manufacturer, produces a smoother bed with considerably less bubble formation (Figure 4). However, there are no vertical side cuts with this system, so the flap-making approach is similar to a microkeratome with a tapered flap edge. Other limitations of this system are that the procedure is not directly visible during the application of pulses, and there is a need for an interface fluid (viscoelastic substance). Since there is no vertical cut when using this device, the nonapplanated periphery establishes a tapered edge to the horizontally cut flap, which can be irregular if air is present. Figure 4. Different cutting profiles between high-energy and lower energy devices. The new WaveLight FS200 UltraFlap laser from Alcon is newly available for evaluation, and its technical specifications show similarities to the IntraLase system. Initial studies show similar IOP rise pattern compared with IntraLase, with a flat applanation docking system. Less opaque bubble layer (OBL) formation is expected owing to a new laser profile that creates specific cutting geometries (externalized channels) in the cornea to allow the gas bubbles to diffuse out of the relevant regions of the cornea. This can allow an immediate excimer ablation after femtosecond flap creation in the majority of cases. IntraLase has also progressively refined its system, releasing new updates on a regular basis, being now in the fifth generation. There have been changes in the laser pulse rate (from 15-30 to 60-150 KHz), allowing faster procedures, an increase in side cut angle (>90°, allowing inverted bevel-in edge), increased geometry of cuts (allowing intrastromal corneal ring placement and shaped corneal transplants) and additional small changes in laser parameters. Despite these changes, the same successful core structure of the device was maintained and its main characteristics were never lost. The growing success of flap creation with a femtosecond laser over that of a microkeratome is due to several distinct advantages. The literature shows a better contrast sensitivity, increased safety, faster uncorrected visual acuity recovery, less induced aberrations[10,11] and less IOP variation in the femtosecond-created flaps. Dry eye is the most common side effect of laser-assisted in situ keratomileusis (LASIK), with up to 90% of patients having some sign or symptom. [13-15] Femtosecond laser flaps have a lower incidence of dry eyes. This is probably owing to the thinner, more uniform flap geometry[15,16] (with greater predictability and lower standard deviation) in the femtosecond laser-treated eyes compared with the microkeratome. In addition to the technical advantages, the perceived safety and accuracy of a laser is preferred by patients, who may fear the use of a bladed device. Table 2 shows the technical features of femtosecond lasers useful for creating flaps during LASIK. Aside from the technical benefits that came along with femtosecond lasers, there were new side effects that arose with the technology that are now better understood. The formation of a bubble layer occurs along the cutting plane, which in some cases leads to an escape of some bubbles into deeper stroma with the formation of an OBL. These deeper bubbles may take a few hours to disappear, and if severe, may impair the aim of the eye tracker during surgery. This is less common with a softer docking (applanation) pressure, lower energy and faster repetition rate devices. Gentle scraping of the surface with a spatula may lessen the density of the OBL prior to laser treatment. The main commercially available femtosecond devices have different concepts and applications on how the technology should be used. The IntraLase was the first device and set the standards regarding energy delivered and geometry of cuts. The IntraLase had the strategic advantage of being the first, and achieved a significant market penetration, so that it is number one in the marketshare. The LDV from Ziemer has implemented a different concept. It is a device entirely focused on flap creation (even though intrastromal ring channels and lamellar keratoplasty can be performed), with the lowest pulse energy, fastest pulse rate and negligible, if any, OBL formation. The device is portable and can be used by different lasers centers, optimizing cost. However, the vertical cut is not available and changes in the geometry of the intrastromal cut are very limited. It is touted as being the simplest and cheapest way to replace the microkeratome for a laser. The Technolas Femtec laser and Carl Zeiss Visumax initially followed the same standards for flap creation set by IntraLase, yet their features offer newer approaches and applications, which help to differentiate them. Both systems have a curved docking interface (more physiologic and less IOP rise during applanation). The customizable features in Technolas are similar to IntraLase; however, the Femtec laser has been used to first perform and popularize intrastromal cutting to induce a biomechanical effect in the IntraCor procedure. The Carl Zeiss Visumax is the largest and most complex (and expensive) of the devices. The technical specifications of the laser beam lies somewhere between IntraLase and LDV, with relatively low pulse energy and fast repetition rate. It has the most customizable software and is focused on the development of 'femtosecond-only' refractive tissue removal with the FLEx and SmILE procedures. The new Wavelight FS200 from Alcon follows the same successful path of IntraLase in its basic concept, being similar in technical specifications. However, it addresses some of the early issues found in the IntraLase device, promising a faster procedure with the 200-KHz rate and less OBL formation. Femtosecond laser-assisted cataract surgery devices are expected to be released during 2011. The first generations are expected to be 'cataract only' devices, and it is possible that future versions will have the ability to combine cataract and refractive surgical applications (i.e., flaps, ring channels, and so on). This could consolidate femtosecond laser technology into a versatile workstation for cataract, refractive and corneal surgeries. What concept will prove to be the best has not yet been determined, but it is possible that a variety of concepts will be successful. For example, the portability, simplicity and low cost of Ziemer LDV may be best for lower volume centers, while more complex and expensive devices may be chosen in the larger corporate and academic centers. Femtosecond laser technology has evolved considerably over the past 5 years, and further advances are expected. This technology will probably guide the major surgical changes in ophthalmologic care over the next 5 years. In addition to expected changes in refractive, corneal and cataract surgery, this technology can introduce and refine the treatment options for newer procedures such as keratolimbal grafts, glaucoma and retina surgeries (to cut vitreous traction fibers - (Figure 5). Figure 5. Retinal traction fibers could theoretically be cut with the femtosecond laser technology. In refractive surgery, a promising treatment modality using only the femtosecond laser (no excimer laser involved) is called FLEx. 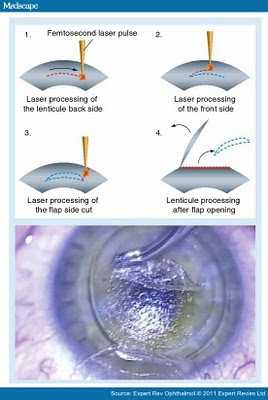 In this procedure, the femtosecond laser is used to cut a lenticule of corneal stroma, instead of an excimer laser ablating this same tissue (Figure 6). The refractive outcomes are still not as good as the excimer laser treatments, but there is room for improvement. The theoretical advantage over the standard procedure is that it is faster, has no need of two different lasers and less energy is applied. In addition, in excimer laser ablation we observe a reduction in laser efficiency in the periphery of the cornea, yielding results that differ from that expected with wavefront-guided and optimized treatments. This would not be a problem with the femtosecond laser-cut lenticules, with the first results showing a large prolate treatment zone, and with less induction of high-order aberrations. The development of faster, more advanced femtosecond laser systems, such as the Zeiss Visumax, allows for a more accurate placement of laser pulses, making this modality a potentially competitive treatment to excimer laser ablation. This feature, present in the Visumax, is not yet available in the USA. Figure 6. Flex procedure: a lenticule of stroma is cut at the same time as the flap is created, then the flap is lifted and the lenticule removed. One of the promising new applications using the femtosecond laser in refractive surgery is the IntraCor procedure,[5,25] which is based on a controlled biomechanical manipulation. In this procedure, femtosecond laser pulses are used to perform corneal 'intrastromal-only' incisions in a cylindrical shape pattern (Figure 7). The only device to date that has this software available is the Technolas Femtec. The incisions heal fast, since there is no damage to the epithelium. The incisions biomechanically induce a hyperprolate, negatively aspheric corneal shape, and aberrated refractive profile with both negative spherical aberration and positive secondary spherical aberration. First results demonstrate an increased depth of focus and refractive corneal stability over the first year with no patients showing loss of best-corrected visual acuity. Figure 7. Intracor procedure. (A) Intrastromal-only cuts. (B) It is possible to visualize the incisions in the slit-lamp. Our knowledge regarding cornea biomechanics has been increasing in the last decade with the development of new diagnostic tools and crosslinking procedures. However, the fear of biomechanical disasters,[26,27] resulting in corneal instability and ectasia (that occurred in procedures such as hexagonal keratotomy, automated lamellar keratoplasty and radial keratotomy), are still fresh in our minds and long-term results are needed to prove safety and stability. The main objectives within the surgical management of cataracts has always been in the treatment of disease. Residual refractive errors, delayed recovery, and even complications were accepted and expected by patients and physicians. With the development of intraocular lenses and small-incision surgical technique, patients and doctors became less tolerant to an imperfect and unexpected result. Modern-day cataract surgery is becoming part of refractive surgery, and despite the excellent results obtained with the current technology, perfection is demanded. In the years ahead, patients' expectations with cataract surgery will probably be the same as among LASIK patients. Femtosecond laser technology is bringing these two procedures even closer. Currently, four companies (LensAR, LenSx Lasers Inc. [CA, USA], OptiMedica Corporation [CA, USA] and Technolas) are researching the use of femtosecond technology to make primary incisions, paracentesis, capsulotomy, lens fragmentation and limbal-relaxing incisions. The femtosecond laser devices for cataract surgery are more complex than those for flap creation. They require very precise imaging systems and a docking system that preserves the anatomy of intraocular structures. The LenSx laser (LenSx Lasers Inc.) and the OptiMedica laser (OptiMedica Corporation) use a real-time high-resolution optical coherence tomography. The docking system specifications have not been disclosed by the companies. The LensAR laser system uses a high-resolution 3D confocal structured illumination, a form of infrared-based imaging used together with a no-touch, non-applanating suction fixation device (an automatically filled miniature water chamber). The device from Technolas is able to do cataract surgery and flaps for refractive surgery. It uses the same curved applanation plate used in the current femtosecond laser device for flap creation. More data regarding the differences among the devices are expected after they become commercially available. The enhanced safety and predictability can improve outcomes, especially with premium IOLs, which depend on a regular, well-centered capsulotomy and minimum residual corneal astigmatism. These can lead to an expansion of the indications of refractive lens exchange and limbal-relaxing incisions, bringing the revolution not only to cataract surgery but also to the refractive surgery area. An area that has been undergoing research in refractive surgery and has been a hot topic in the past few years is astigmatism correction. It is more challenging to correct astigmatism than myopia and extra precision is required. Four main options currently in the treatment of astigmatism include: excimer laser photoablation, manual limbal relaxing incisions, astigmatic keratotomy and toric IOLs. The results of excimer laser photoablation to correct astigmatism are usually accurate, but is not as good as with myopic treatments. In cataract surgery, excimer photoablation of residual astigmatism would require a separately performed procedure. In addition, nonorthogonal astigmatism cannot be treated with astigmatic excimer laser photoablation and topographic customization is not currently available. Toric IOLs have been the subject of intense research in refractive cataract surgery, and the technology has evolved into being the first option for correcting astigmatism when facing a patient that is undergoing to cataract surgery. More accurate visual results are found when compared with manual limbal relaxing incisions. However, the placement of a toric IOL is not possible when using a multifocal or accommodative implant and it cannot be used in the absence of cataract surgery. 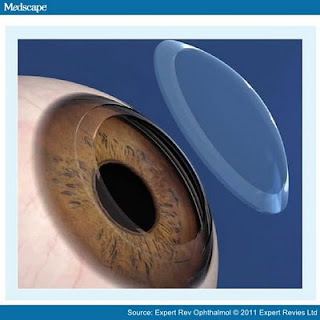 Manual limbal-relaxing incisions have been used mainly to correct low-grade astigmatism (<3 diopters) during cataract surgery with good results. However, when dealing with manual incisions we must be aware of the lack of length, depth and orientation precision during incision placement, as the reproducibility of outcomes would probably be enhanced with imaging-based laser incisions. Astigmatic keratotomy has been widely performed during the radial keratotomy era, but because of irregular astigmatism, instability and imprecision, it was essentially abandoned, except for high postkeratoplasty astigmatism, although excimer laser vision correction may be needed to correct the residual astigmatism. Early studies of femtosecond laser-assisted astigmatism correction have begun with good results. [33,34] In higher degree astigmatism (postkeratoplasty and high naturally occurring astigmatism) laser astigmatic keratotomy is effective, while among lower astigmatic eyes, limbal-relaxing incisions seem to be most effective. The results for high postkeratoplasty astigmatism show greater accuracy and less complication compared with manual techniques. In addition, femtosecond lasers can create intrastromal-only astigmatic incisions. Although these are expected to be less effective, they would also be safer and more stable, but these facts need to be verified in further studies. The precision of femtosecond laser technology in creating incisions still needs to be matched with better nomograms for an accurate correction. In addition, a precise imaging system and flexible geometric cutting profile are required for a better placement of the incisions. This technology is still evolving and advanced refinements are currently being developed in the newer generation femtosecond laser devices. Presbyopia is one of the last major challenges in ocular surgery. Many different surgical techniques have been studied to correct this huge problem, yet the simplest solution, reading glasses, are still the most utilized, because other solutions are still potentially compromising. The prevalence of presbyopia is increasing in the world owing to aging of the population, and is expected to be approximately 1.8 billion in 2020. The main pathology of this disease is the increasing stiffness of the crystalline lens related to aging, for which there is currently no restorative solution. Although the IntraCor procedure uses femtosecond lasers in the cornea to increase the depth of focus for spectacle independence in presbyopia, intralenticular femtosecond laser pulses could also be noninvasively applied for accommodation restoration at the level of the crystalline lens. The main fear of this approach is the potential in causing cataracts and a loss of best-corrected visual acuity. The studies thus far show the development of pinpoint opacities at the site of laser interaction but no progressive cataract formation in preclinical and clinical studies. When comparing this novel method with other presbyopia-correcting options and their complications, the minimal invasiveness of this technique makes it a potentially attractive potential remedy. The risk of infection is negligible since no exterior wound is created, and the possibility of presbyopia correction involving lens exchange could still be performed without concern if unsatisfactory results with femtosecond laser correction are experienced. An undesirable outcome within the crystalline lens would be much easier to treat than an undesirable outcome secondary to a corneal procedure. Studies in animals have shown promise, and human trials are underway to show the real potential for efficacy and safety in performing this technique. In corneal procedures, the potential of femtosecond laser technology has not yet been fully achieved, although its initial uses for shaped penetrating corneal transplantation have been reported successfully in the last years (Figure 8). In addition, femtosecond laser-created keratolimbal autografts have been easily prepared with very positive results. Figure 8. Shaped edges can be created for a better wound architecture. The laser cutting of Descemet's stripping automated endothelial keratoplasty (DSAEK) grafts and anterior lamellar keratoplasty are hot topics with this technology. [42-44] The current standard procedure for cutting DSAEK grafts utilizes a microkeratome. Femtosecond lasers promise thinner and more reproductible DSAEK grafts. However, a real benefit compared with microkeratome would depend on the use of a curved applanation system (to maintain the posterior stroma and endothelium in a physiologic, unfolded position) and on a cutting plane reference along the posterior surface, rather than the anterior as it is today (since cornea's posterior curvature is steeper than anterior, a cut based on an anterior curvature will leave the graft thicker in the periphery). How close to the endothelium we can go without inducing damage is still to be determined. In deeper cuts, there is an increase in laser scattering, resulting in an irregular cut. Very similar challenges are found when using the laser with deep anterior lamellar keratoplasty. There are many more advances to be explored in this field, and future studies will determine whether or not there is any benefit to using a Femtosecond device in these situations. ● Refractive surgery is rapidly evolving; relevant advances to the area are expected in the next few years. ● Femtosecond laser technology is safe, precise and reliable. Results show better outcomes when compared with using a microkeratome in laser-assisted in situkeratomileusis flap creation. ● The technology also introduced new complications such as opaque bubble layer, transient light-sensitivity syndrome and rainbow glare, which must be known and understood by the refractive surgeons that are changing from a microkeratome to a femtosecond laser. ● The full potential of femtosecond laser technology has not yet been achieved. New forms of treatment such as IntraCor, FLEx and femtosecond laser-assisted cataract surgery are expected to play a relevant and significant role. ● Despite the initial focus on refractive surgery, femtosecond laser technology can bring advances to nonrefractive surgery procedures, such as glaucoma, retina and corneal surgery. ● Femtosecond-assisted cataract surgery can bring cataract and lens-based surgery closer to that of refractive surgery with its precision, safety and reproducibility. ● New forms of presbyopia correction and accommodation restoration will become the major focus of investigation in refractive surgery, considering its huge impact on quality of life in an aging population. 1. Montés-Micó R, Rodríguez-Galietero A, Alió J. Femtosecond laser versus mechanical keratome LASIK for myopia. Ophthalmology 114, 62-68 (2007). 2. Faktorovich E. Femtodynamics (1st Edition). Slack Incorporated, NJ, USA (2009). 3. Vogel A, Busch S, Jungnickel K, Birngruber R. Mechanisms of intraocular photodisruption with picosecond and nanosecond laser pulses. Laser Surg. Med. 15(1), 32-43 (1994). 4. Sarayba MA, Maguen E, Salz J, Rabinowitz Y, Ignacio TS. Femtosecond laser keratome creation of partial thickness donor corneal buttons for lamellar keratoplasty. J. Refract. Surg. 23(1), 58-65 (2007). 5. Ruiz LA, Cepeda LM, Fuentes VC. Intrastromal correction of presbyopia. J. Refract. Surg. 25(85), 847-854 (2009). 6. Sekundo W, Kunert K, Russmann C et al. First efficacy and safety study of femtosecond lenticule extraction for the correction of myopia: six-month results. J. Cataract Refract. Surg. 34(9), 1513-1520 (2008). 7. Sekundo W, Kunert KS, Blum M. Small incision corneal refractive surgery using the small incision lenticule extraction (SMILE) procedure for the correction of myopia and myopic astigmatism: results of a 6 month prospective study. Br. J. Ophthalmol. DOI: 10.1136/bjo.2009.174284 (2008) (Epub ahead of print). 8. Davison JA, Johnson SC. Intraoperative complications of LASIK flaps using the intralase femtosecond laser in 3009 cases. J. Refract. Surg. 26(11), 851-857 (2010). 9. Tanna M, Schallhorn SC, Hettinger KA. Femtosecond laser versus mechanical microkeratome: a retrospective comparison of visual outcomes at 3 months. J. Refract. Surg. 25(7 Suppl. ), S668-S671 (2009). 10. Krueger RR, Dupps WJ Jr. Biomechanical effects of femtosecond and microkeratome-based flap creation: prospective contralateral examination of two patients. J. Refract. Surg. 23(8), 800-807 (2007). 11. Medeiros FW, Stapleton WM, Hammel J, Krueger RR, Netto MV, Wilson SE. Wavefront analysis comparison of LASIK outcomes with the femtosecond laser and mechanical microkeratomes. J. Refract. Surg. 23(9), 880-887 (2007). 12. Chaurasia SS, Luengo Gimeno F, Tan K et al. In vivo real-time intraocular pressure variations during LASIK flap creation. Invest. Ophthalmol. Vis. Sci. 51(9), 4641-4645 (2010). 13. Wilson SE. Laser in situ keratomileusis-induced (presumed) neurotrophic epitheliopathy. Ophthalmology 108(6), 1082-1087 (2001). 14. Ambrósio R, Tervo T, Wilson SE. LASIK-associated dry eye and neurotrophic epitheliopathy: pathophysiology and strategies for prevention and treatment. J. Refract. Surg. 24(4), 396-407 (2008). 15. Salomao MQ, Ambrósio R Jr, Wilson S. Dry eye associated with laser in situ keratomileusis: mechanical microkeratome versus femtosecond laser. J. Cataract Refract. Surg. 35, 1756-1760 (2009). 16. Martins Rosa A, Murta J, Quadrado M. Femtosecond laser versus mechanical microkeratomes for flap creation in laser in situ keratomileusis and effect of postoperative measurement interval on estimated femtosecond flap thickness. J. Cataract Refract. Surg. 45, 833-838 (2009). 17. Soong HK, Malta JB. Femtosecond lasers in ophthalmology. Am. J. Ophthalmol. 147(2), 189-197.e2 (2009). 18. Stonecipher KG, Dishler JG, Ignacio TS, Binder PS. Transient light sensitivity after femtosecond laser flap creation: clinical findings and management. J. Cataract Refract. Surg. 32(1), 91-94 (2006). 19. Krueger RR, Thornton IL, Xu M, Bor Z, van den Berg TJ. Rainbow glare as an optical side effect of IntraLASIK. Ophthalmology 115(7), 1187-1195.e1 (2008). 20. Bamba S, Rocha KM, Ramos-Esteban JC, Krueger RR. Incidence of rainbow glare after laser in situ keratomileusis flap creation with a 60 kHz femtosecond laser. J. Cataract Refract. Surg. 35(6), 1082-1086 (2009). 21. Choi SK, Kim JH, Lee D, Oh SH. A new surgical technique: a femtosecond laser-assisted keratolimbal allograft procedure. Cornea 29(8), 924-949 (2010). 22. Liu Y, Nakamura H, Witt TE, Edward DP, Gordon RJ. Femtosecond laser photodisruption of porcine anterior chamber angle: an ex vivo study. Ophthalmic Surg. Lasers Imaging 39(6), 485-490 (2008). 23. Hild M, Krause M, Riemann I et al. Femtosecond laser-assisted retinal imaging and ablation: experimental pilot study. Curr. Eye Res. 33(4), 351-363 (2008). 24. Blum M, Kunert K, Schröder M, Sekundo W. Femtosecond lenticule extraction for the correction of myopia: preliminary 6-month results. Graefes Arch. Clin. Exp. Ophthalmol. 248(7), 1019-1027 (2010). 25. Holzer MP, Mannsfeld A, Ehmer A, Auffarth GU. Early outcomes of INTRACOR femtosecond laser treatment for presbyopia. J. Refract. Surg. 25(10), 855-861 (2009). 26. Rashid ER, Waring GO. Complications of radial and transverse keratotomy. Surv. Ophthalmol. 34(2), 73-106 (1989). 27. Basuk WL, Zisman M, Waring GO et al. Complications of hexagonal keratotomy. Am. J. Ophthalmol. 117(1), 37-49 (1994). 28. Nagy Z, Takacs A, Filkorn T, Sarayba M. Initial clinical evaluation of an intraocular femtosecond laser in cataract surgery. J. Refract. Surg. 25(12), 1053-1060 (2009). 29. Masket S, Sarayba M, Ignacio T, Fram N. Femtosecond laser-assisted cataract incisions: architectural stability and reproducibility. J. Cataract Refract. Surg. 36(6), 1048-1049 (2010). 30. Mendicute J, Irigoyen C, Ruiz M et al. Toric intraocular lens versus opposite clear corneal incisions to correct astigmatism in eyes having cataract surgery. J. Cataract Refract. Surg. 35(3), 451-458 (2009). 31. Carvalho MJ, Suzuki SH, Freitas LL et al. Limbal relaxing incisions to correct corneal astigmatism during phacoemulsification. J. Refract. Surg. 23(5), 499-504 (2007). 32. Poole TR, Ficker LA. Astigmatic keratotomy for post-keratoplasty astigmatism. J. Cataract Refract. Surg. 32(7), 1175-1179 (2006). 33. Nubile M, Carpineto P, Lanzini M, Calienno R, Agnifili L. Femtosecond laser arcuate keratotomy for the correction of high astigmatism after keratoplasty. Ophthalmology 116(6), 1083-1092 (2009). 34. Abbey A, Ide T, Kymionis GD, Yoo SH. Femtosecond laser-assisted astigmatic keratotomy in naturally occurring high astigmatism. Br. J. Ophthalmol. 93, 1566-1569 (2009). 35. Kymionis GD, Yoo SH, Ide T, Culbertson WW. Femtosecond-assisted astigmatic keratotomy for post-keratoplasty irregular astigmatism. J. Cataract Refract. Surg. 35(1), 11-13 (2009). 36. Kumar NL, Kaiserman I, Shehadeh-Mashor R et al. IntraLase-enabled astigmatic keratotomy for post-keratoplasty astigmatism: on-axis vector analysis. Ophthalmology 117(6), 1228-1235.e1 (2010). 37. Holden BA, Fricke TR, Ho SM et al. Global vision impairment due to uncorrected presbyopia. Arch. Ophthalmol. 126(12), 1731-1739 (2008). 38. Myers RI, Krueger RR. 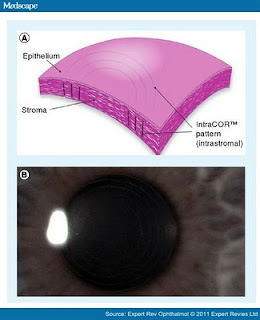 Novel approaches to correction of presbyopia with laser modification of the crystalline lens. J. Refract. Surg. 14(2), 136-139 (1998). 39. Schumacher S, Oberheide U, Fromm M et al. Femtosecond laser induced flexibility change of human donor lenses. Vis. Res. 49(14), 1853-1859 (2009). 40. Krueger RR, Sun XK, Stroh J, Myers R. Experimental increase in accommodative potential after neodymium: yttrium-aluminium-garnet laser photodisruption of paired cadaver lenses. Ophthalmology 108(11), 2122-2129 (2001). 41. Krueger RR, Kuszak J, Lubatschowski H et al. First safety study of femtosecond laser photodisruption in animal lenses: tissue morphology and cataractogenesis. J. Cataract Refract. Surg. 31(12), 2386-2394 (2005). 42. Ghaznawi N, Chen ES. Descemet's stripping automated endothelial keratoplasty: innovations in surgical technique. Curr. Opin. Ophthalmol. 21(4), 283-287 (2010). 43. Ide T, Yoo SH, Kymionis GD et al. Descemet stripping automated endothelial keratoplasty tissue preparation with femtosecond laser and contact lens. Cornea 29(1), 93-98 (2010). 44. Mehta JS, Shilbayeh R, Por Y et al. Femtosecond laser creation of donor cornea buttons for Descemet-stripping endothelial keratoplasty. J. Cataract Refract. Surg. 34(11), 1970-1975 (2008). 45. Cheng YY, Hendrikse F, Pels E et al. Preliminary results of femtosecond laser-assisted descemet stripping endothelial keratoplasty. Arch. Ophthalmol. 126(10), 1351-1356 (2008). Editor’s Note: All of the original text is included, but certain figures illustrating some of the text has been eliminated for space reasons. Please see the original version for the removed figures. Ronald Krueger, MD is Medical Director of Refractive Surgery and Professor of Ophthalmology at the Cleveland Clinic. He has performed over fifteen thousand refractive surgery procedures, and has authored more than 150 peer-reviewed manuscripts and many more abstracts, book chapters and trade journal articles. 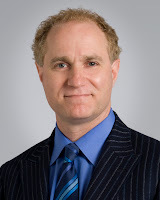 He has 27 years of experience in excimer laser research, including the first physical descriptions of the effects of the excimer lasers on corneal tissue and many more developments. He is also an early pioneer of ocular wavefront customized laser vision correction, having coauthored the first book on the subject, and cohosted an international “wavefront congress” each year since 2000. He also has more than 15 years of research experience in pico and femtosecond laser photodisruption of ocular tissue, and is involved in research investigating the correction of presbyopia and restoration of accommodation. Glauco Reggiani Mello, MD, is a fellow in cornea, cataract and refractive surgery at the Cole Eye Institute of the Cleveland Clinic Foundation. Tell it is possible to use this laser for treatment Floaters (turbidity стекловидного bodies) (fibres colagena) also as well as YAG the laser? I originally thought that either femtosecond or picosecond lasers would find an advantage for this application, but as those lasers are very expensive, and the YAG is readily available, it appears that, to date, they are not being used. Could you tell me if you have any information about nanosecond laser technology, which uses ultraviolet wavelength. The ophthalmic YAG laser operates in the nanosecond range, but not in the ultraviolet wavelength. What laser are you referring to? The excimer lasers operate in the near ultraviolet, but I'm not sure what their operating speed is. If you can be more specific, perhaps I can help you. Please email me (link in the sidebox) and we can discuss this further.